Your Barrie boiler will last longer and cost less in repairs with proper boiler maintenance. Maintenance checks can extend the life of your boiler. 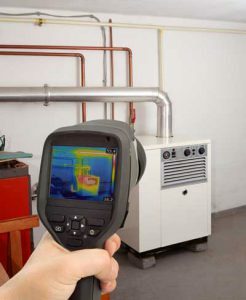 Boiler maintenance is often something that people overlook or neglect. After all, if something is working, it’s much easier to focus on matters that seem more pressing! Regular boiler maintenance checks can actually extend the life of your boiler by ensuring that your boiler is always running at maximum efficiency. Often cheaper than emergency boiler repairs. Not only will a tune-up keep your boiler working properly, but if we do find areas in need of service, they will often be smaller and less expensive repairs. Additionally, when we do a maintenance check and complete a repair, it can be done on your schedule rather than in a time of urgency. Experienced and professional service. Our experienced team has spent years working on commercial boilers of all kinds. We know just what to look for and will be able to quickly seek, find, and repair any problems that might arise without disrupting your working environment. If you have more questions about how boiler maintenance can be advantageous to your Barrie business, please contact us today!